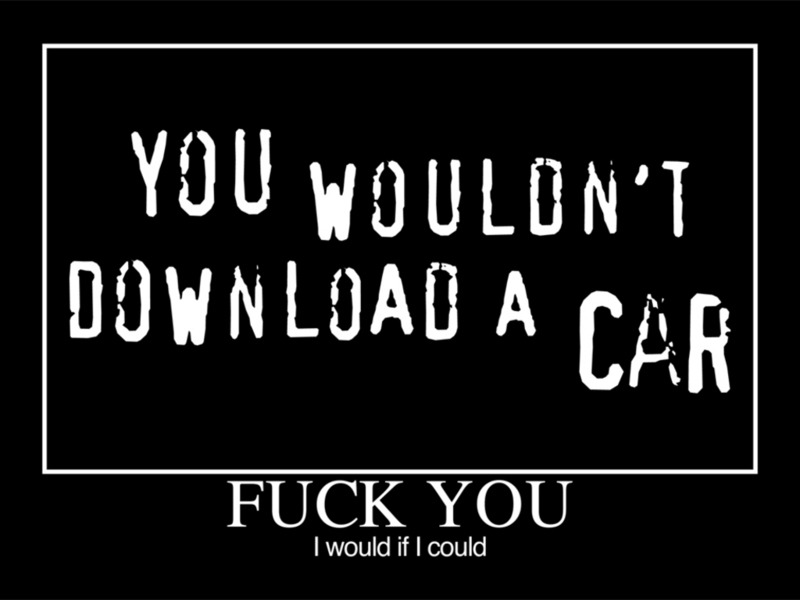 Remember those commercials against music piracy saying “you wouldn’t download a car”? Well, these days you actually can. or at least almost, thanks to 3Dprinting. I don’t know when this technology suddenly became so generally accepted in our society, but I think 3Dprinting is a big deal, so I wanted to contemplate on it a bit. For those who hadn’t heard of 3Dprinting, it’s not a new concept, since it has been used in some industries for a while now, but it’s relatively new to being open to the public. These days, you can just buy your own 3Dprinter, and it doesn’t have to cost you an arm or a leg; for the price of a macbook and an iPhone, you can buy a makerbot replicator™ 3D printer. Perfect for those early adapters who are willing to spend a lot of money on those kind of must-haves. The idea of such a printer being widespread really blows my mind. The ways to use this printer are endless, it can be used for printing out scale models for architecture and design students, for printing out toys for your kids, missing lego pieces, missing screws for your Ikea furniture, you can print out jewellery and even print out shoes! you can design things and print them out so they perfectly fit your desire, but you can also scan objects and copy them. It almost sounds like I’m trying to sell everyone this printer, but it’s such an amazing idea with such consequences. People’s creative designs can easily be printed and sold, and all sorts of businesses will spring (and already are springing) to life by everyone with a creative mind and a 3D printer who want to sell their product, or sell you the design to print it out yourself on the other side of the world. 3D printing will make molds redundant to form stuff into a certain shape. It is also a lot more precise than a mold, and 3D printing is currently also used for other beautiful objectives, such as making prosthetics for amputees. Look around in the room you are at and imagine what things you could possibly print out. More complicated designs can also be printed by yourself, where the internet can function as a source of illegal downloads of templates the way it already is for music and books. Can you imagine people making templates of ikea-chairs and opensourcing them for all to download? It would be possible to pirate ikea for god sake! For now it seems the makerbot only sells biodegradable plastic to use as a material for printing, but glass and metal are already used in bigger industrial applications since they are moldable when put under high temperatures, making more complex designs possible. But when thinking of future developments, it might be possible to make stuff from more than one material, like colourprinters know when to use a certain colour, 3D printers might know when to use a certain material. Might it be possible in a near future to print a pizza? Buy the ingredients and the printer will just form it? I assume that in about 10 years (or even less), this whole technology will have become generally adapted in society, and whenever we break a cup, we’ll just download a template and print out a new one. And we’ll laugh about there ever having been a day WITHOUT 3D printing. For now, I still think it’s a revolutionary concept with very strong repercussions on how we create things, but also how we pirate things. I think stores who might go out of business because of these 3Dprintings, could have a certain strengt in building high quality products that cannot easily be reproduced by a simple printer that prints in plastic. Previous Post There are no girls on the internet.